Faversham Life meets Jonathan Neame and explores the history of Shepherd Neame. 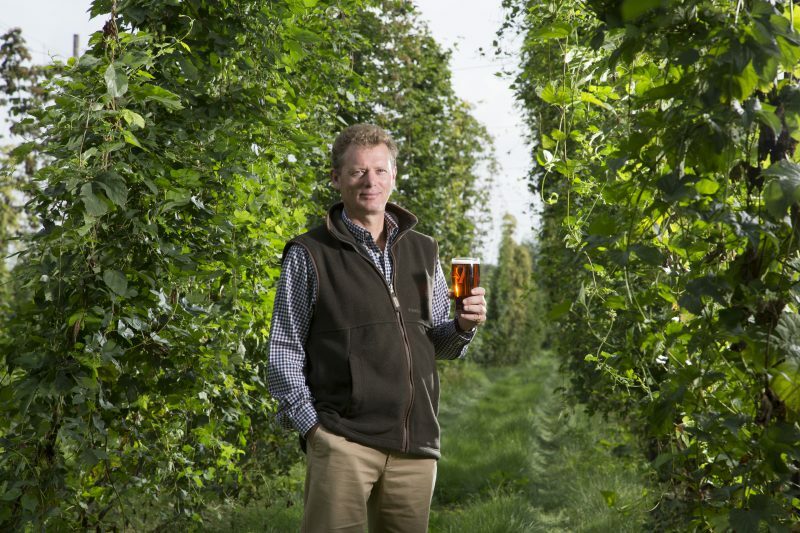 ‘Many people locally don’t appreciate the uniqueness of Shepherd Neame,’ says Jonathan Neame, Chief Executive of Shepherd Neame, and the fifth generation of his family to run the brewery. 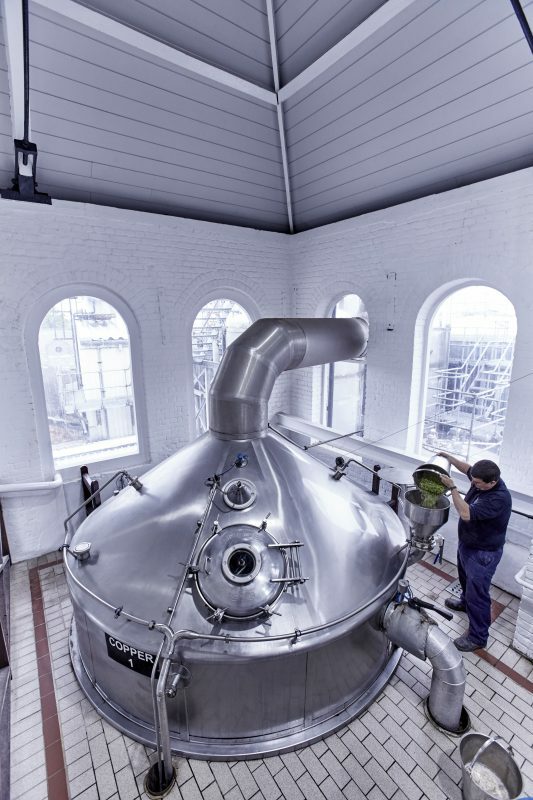 Officially founded in 1698 (though actually recent investigation has shown that there was a brewery on the site more than a century earlier than this), it is the oldest brewery in the country. ‘Shep’s’, as the brewery is affectionally called by Kentish folk, is the centre of Faversham, both in location and association. 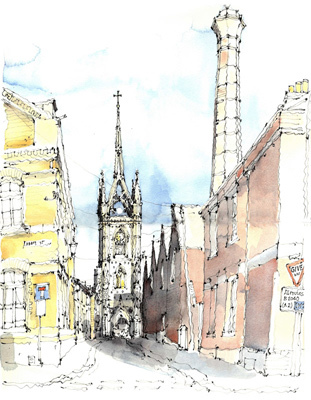 Walking around the town, one is often assailed by the sweet smell of brewing hops emanating from its headquarters on Court Street, where beer has been brewed continuously since 1573. The brewery uses chalk-filtered mineral water from its own artesian well, deep down below the brewery. ‘There are very few British firms still operating from their original site in any business sector. 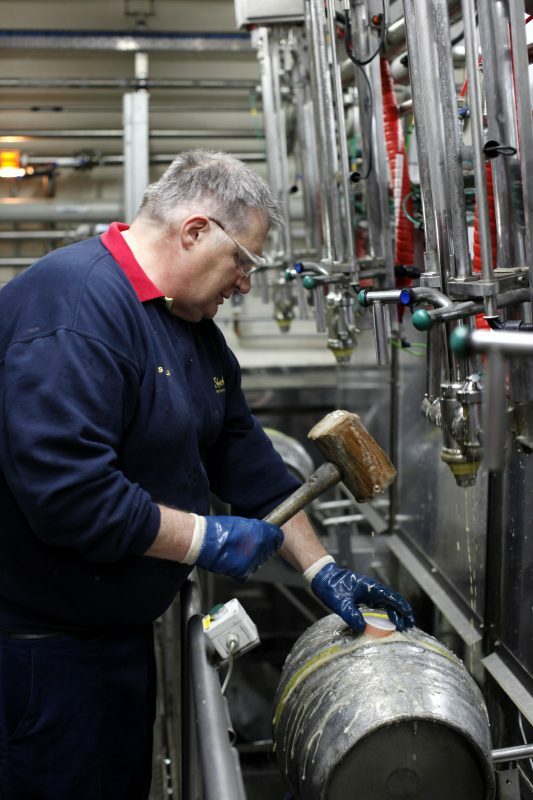 It is part of the DNA of Faversham and is the largest employer in the town with nearly 300 employees.’ The brewery owns more than 300 pubs, two thirds of which are in Kent, the others in Essex, Sussex, Surrey and London. ‘I feel extremely privileged to be connected to such a long-established family business,’ says the highly articulate and extremely genial Jonathan. The history of beer can be traced back some 5,000 years. In Faversham it was the Cluniac monks at the Benedictine Abbey founded by King Stephen in 1147 who first began making ale with locally grown malting barley and the town’s pure spring water. Originally beer was a staple household ingredient like bread because the water wasn’t safe to drink. I particularly love the story behind Bear Island pale ale made with the splendidly named English Boadicea hop. At one time a man with a pet bear lived on an island in Faversham creek. The Bear Inn on the Market Place, Faversham, a very atmospheric pub owned by Shepherd Neame since 1736, is also named after this bear. Talking to Jonathan, one could easily be forgiven for thinking that he had spent all his career immersed in the family firm, such is his enthusiasm and devotion. But after reading Classics at Cambridge, he trained as an academic barrister and had a mini pupillage. With his sonorous voice it is easy to imagine him as a commanding presence in a court of law. He then worked for the COBA Group, specialist in mergers and acquisitions, followed by four years with Price Waterhouse. He joined Shepherd Neame in 1991 as the Company Secretary. He was encouraged to sample all the roles, including spending time on the drays, in pubs and with the sales team. He became managing director in 1999 and Chief Executive in 2003. The Neame family didn’t become involved with the firm until Percy Beale Neame joined the Brewery in 1864, although the Neames had long been hop farmers in the area. It was one Captain Richard Marsh who in 1678 is recorded in the Faversham Wardmote Books as contributing by far the largest of the ‘Brewers Fines’ made at that date. Marsh’s descendants sold the firm to Samuel Shepherd c.1741. His son, Julius, updated the brewery, installing a steam engine made by Boulton and Watt to speed up the process of malt grinding and pumping. Hitherto it had been done by horses. Jonathan believes the fact that several different families have been involved with the brewery over the years as opposed to just one family is what makes it into a large community. The mid 19th century was a halcyon time for the brewery. 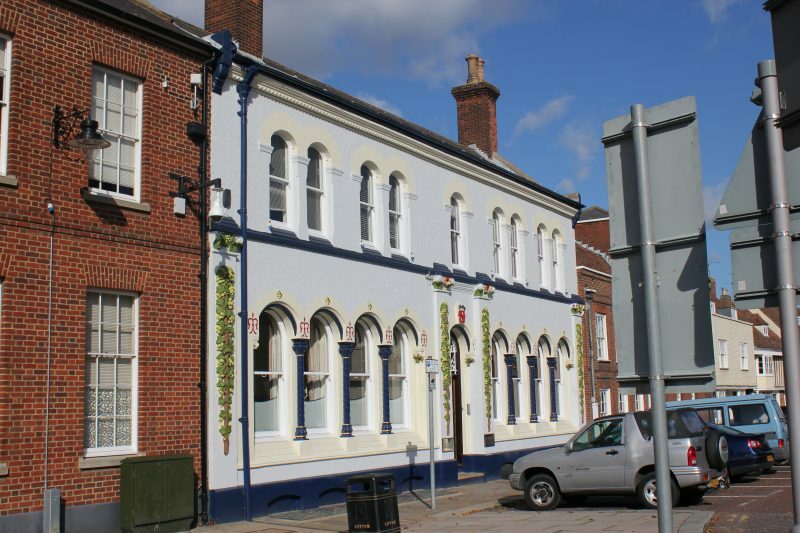 Percy oversaw substantial investment including the building of its fine office on Court Street decorated with hops and wheat ears, and bought scores of pubs to service the thriving industrial scene all along the North Kent coast. The arrival of the railway in Faversham in 1858 revolutionised the distribution of the beer. Previously horse-drawn drays were used in Kent and malts were imported by barge from its own wharf on Faversham Creek. By 1874 Shepherd Neame was running ten of its own railway wagons on the London, Chatham and Dover railway. Each wagon carried 300 barrels of beer. It also rented a shop in Victoria Station. 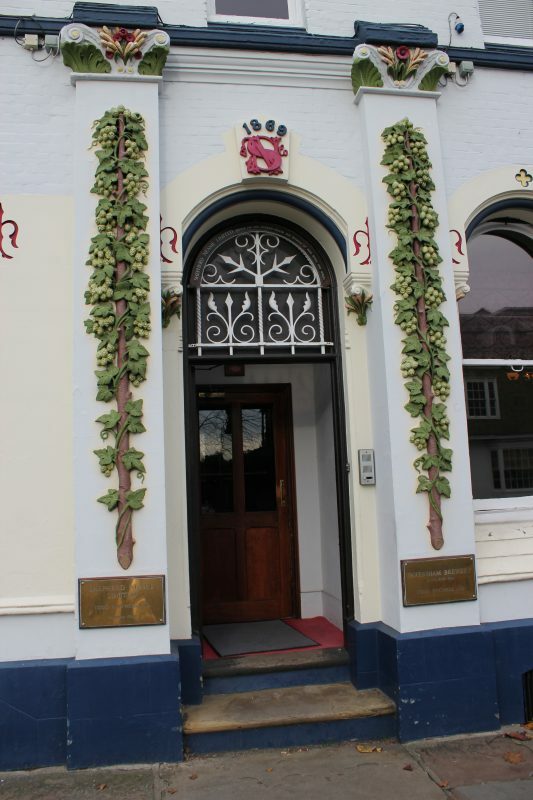 Detail of the hops decorating Shepherd Neame. Jonathan is overseeing an ambitious programme of extensive architectural improvements to enhance and refurbish the existing building stock. 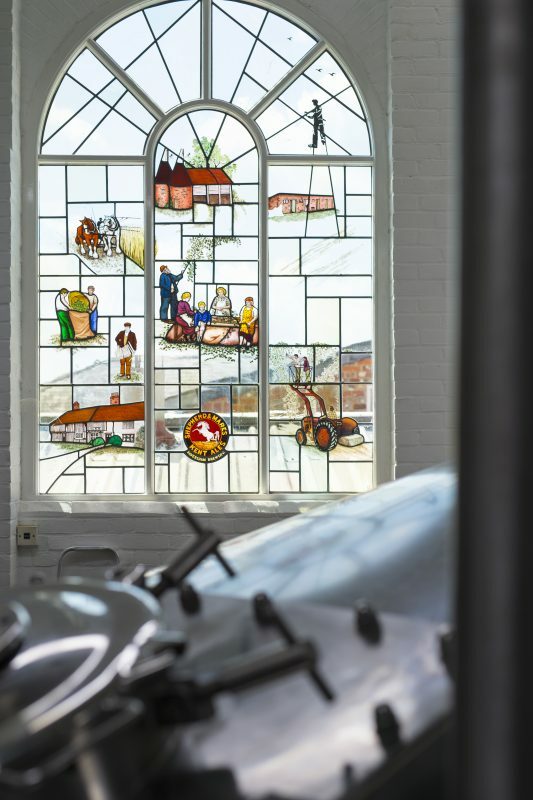 An imaginative improvement is to install a glass window on the bottling plant so that passers-by can see the process in action as they drive or walk past. 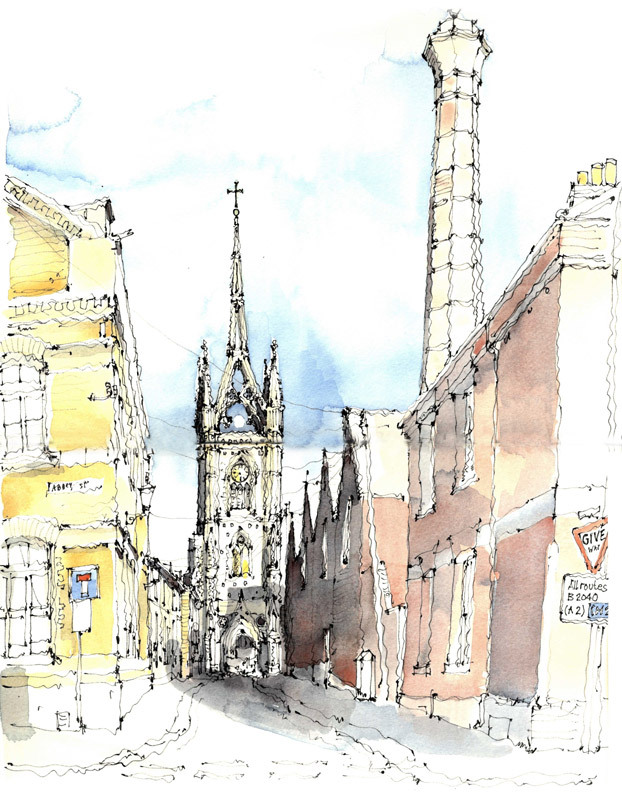 ‘Shepherd Neame has an important role to play in Faversham, it is a great place to invest in. It is very creative, diverse and a great tourist destination.’ (Jonathan has been Chairman of Visit Kent since 2016). How fortunate we all are to have Shepherd Neame in our midst. Words: Amicia de Moubray. Photographs: Shepherd Neame.